As per the research on historical records, Lord Gautama Buddha was born in Nepal. Following are some facts about Lord Gautama Buddha which prove Lord Buddha was born in Nepal. You must be searching the web to know about the Seven Wonders of the Ancient World. This article based on the Seven Wonders of the Ancient World will solve your curiosity. Wanderlust is the trending swag among the youth. People are going distant places to explore the world. The ‘must see’ places took the first place on the Bucket List of many people. Do you aware of the fact that the gene of wandering and having a “Must See” list has come from our forefathers. They described the phenomenon of ‘must see’ list as the “Themata”. In Greek, “Themata” means ‘things to be seen’. Philo of Byzantium was the person who defines “The Seven Wonders” as the Themata (in his work on the seven wonders). It was the first ever known list of the miraculous establishment of the classical antiquity. The work of ancient wonders or old wonders is stationed around the Mediterranean rim and in Mesopotamia. You will be amazed by knowing the fact that the number seven was chosen because it represented the perfection in the ancient world. Actually, in the ancient world, it was believed to be marked as the symbol of plenty and perfection. It also represents the number of planets (only five were known at the ancient time), including the Sun and Moon. 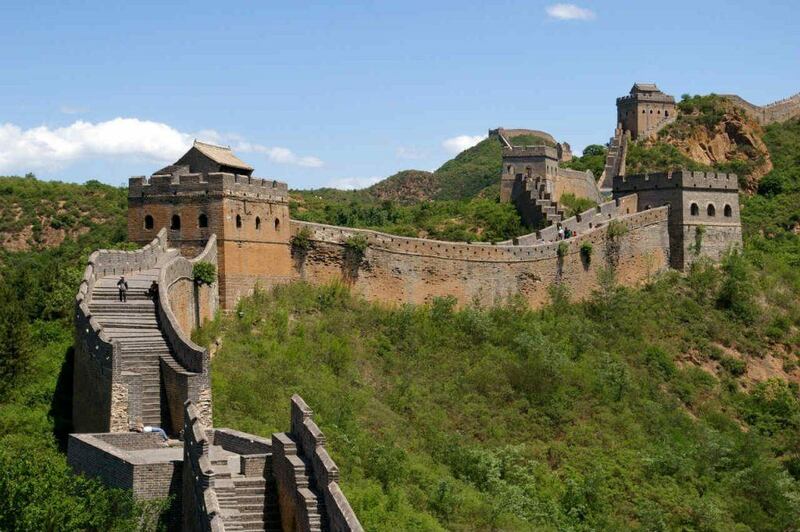 This article is totally dedicated to the marvelous Seven Wonders of the Ancient World. 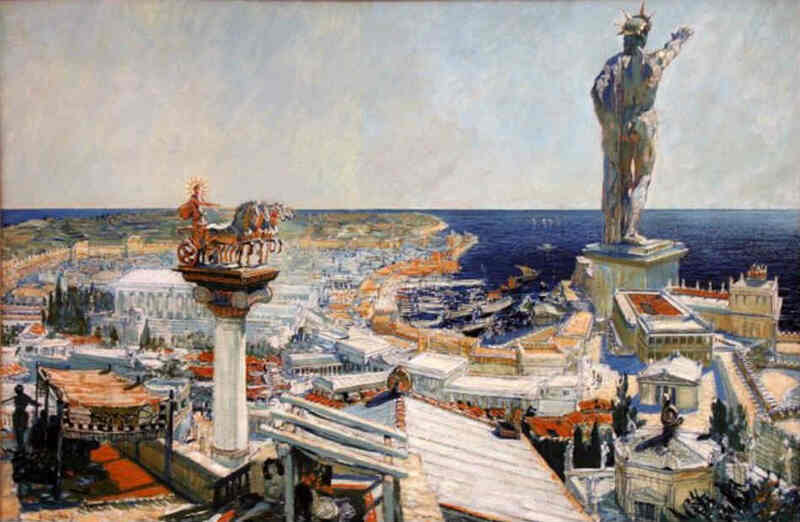 The Colossus of Rhodes was a statue of the Greek titan-god of the sun, named Helios. It was erected (by the Charles of Lindas in 280BC) in the city of Rhodes on the Greek Island. The Island was also named after the Rhodes. In the Greek Mythology, the Helios was the personification of the Sun. The Sun is treated as the God of the ancient world. Therefore, its personification is the utmost importance of the ancient world people. You must be wondering why they erected this momentous sculpture of the Helios. According to the historians, it marked the victory of Rhodes over the rulers of Cyprus. King Antigonus I Monopthalmus son besieged the Rohdes in 305 BC but it was an unsuccessful besiege. The sculpture of the Rhodes was destroyed by the earthquake of 225BC. It was said that the thumb of the Rhodes statue cannot be hugged by the people. The fingers of the Rhodes statue were higher than many sculptors. It was the tallest statue of the ancient world with a height approximate to the Statue of Liberty. Do you ever hear about the Romeo and Juliet? Yes, of course, you have read or heard about Romeo and Juliet. We also know that this is not the only love story in the world. Love is eternal and only the thing that never becomes obsolete or orthodox. The same essence of love is represented by the Statue of Georgia. The Statue of Georgia also known as “Man and Woman”. This statue depicts the famous love story of Ali and Nino. It is really famous in the Georgia region and neighborhood. In Georgia ‘the Statue of Love’ is called ‘Sekhvarulis Kandakaeba’. It is 8 meter in height and made up of steel. The location of the statue is on the shore of the Black Sea in Batumi Boulevard. Who wrote this amazing novel is still a mystery and topic of debate but popularly it is believed that the mysterious Kurban Said wrote the novel in 1937. What is Statue of Georgia is all about? The Ali and Nino were true lovers of the 20th century. Ali is a Muslim boy and the Nino is Christian in religion and also a Georgian Princes. Ali is from Azerbaijan who tries to marry Nino a Georgian princess. As Ali was growing up, he is understanding and getting knowledge about the Christian value and another kind of stuff in his school. This curiosity to know the Christian values is also work as a factor for Ali to fall in love with Nino who is Christian. Both of them used to spend a lot of time together during the high school. Ali wanted to marry her but Nino was scared. Ali makes her a promise that she does not have to follow the customs or Muslim tradition such as wearing a veil after their marriage. Ali father happily accepted their marriage. It is also because as a father he wanted her son to be happy. Therefore, he accepted their marriage. Now, you must be wondering that when they both get married and there was no resistance from the family sides then what happened. Actually, it was the Soviet Union invasion that separated Ali and Nino. The love story of Ali and Nino was from the book that was first published in German, under a pseudonym of ‘Kurban Said’. It was the time of First World War, Russians invaded Azerbaijan. Ali decided to fight for his motherland against the mighty Russian army. Ali dies in the war. This way a love story ends its own way i.e. tragic. 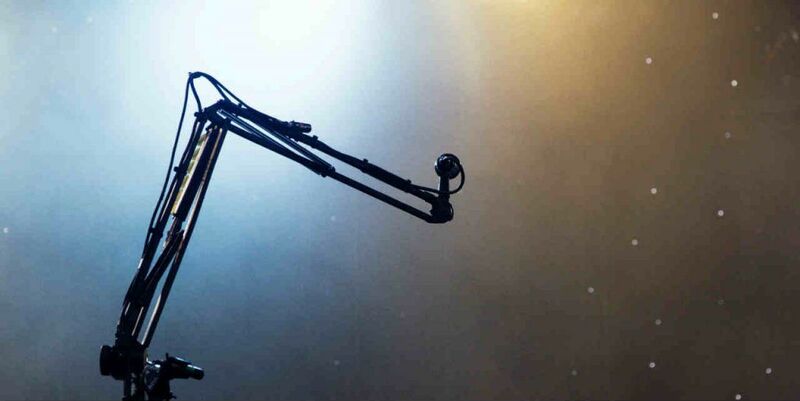 Almost every love story in the world we know has never bowed down in front of world or people. They fight for their independence and the freedom to live together. The fight for their self-esteem makes them immortal. They are still living in the heart of people. Yes, they died and separated but in the eternity they are together. According to the Indian Tradition, there is life after the life. 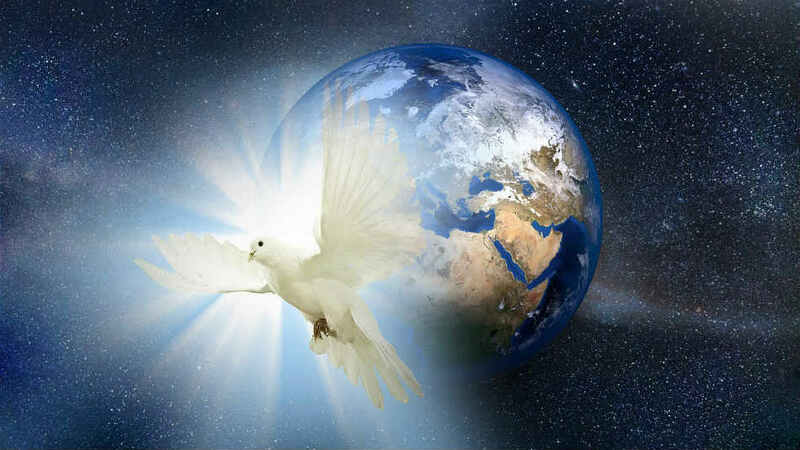 Therefore, we strongly believe the people that were separated in this mortal world get the united afterlife. Or they embrace death so that they can die together and not get separated again because now their soul is united and both of them have become a unity. This is the story that the Statue of Georgia is depicting. This mind-blowing amazing piece of work is created by the Georgian artist Tamara Kvesitadze. 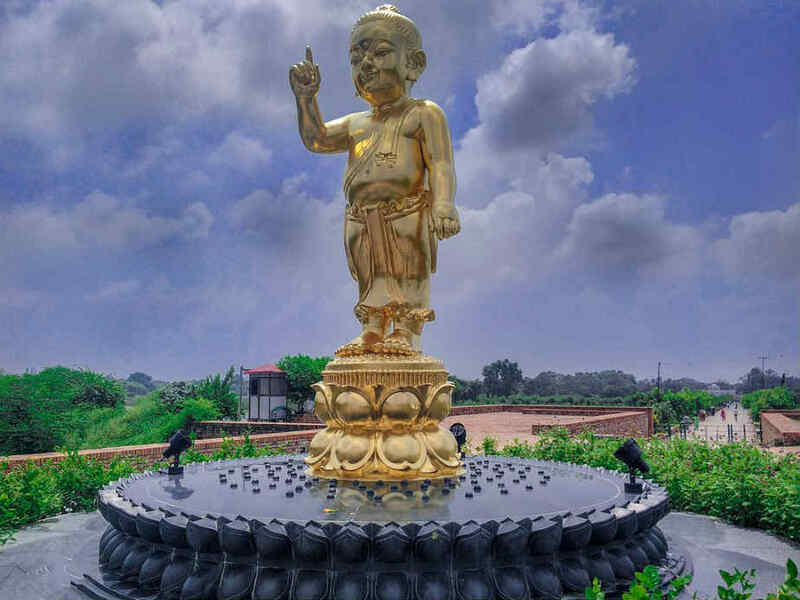 He and his team worked for more than 10 months continuously to build this amazing statue. It is the place that is must visit in the lifetime. 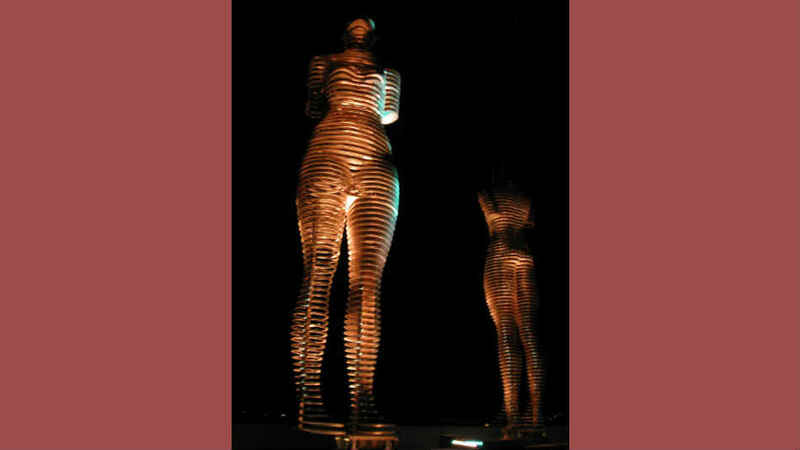 For the Spectators, the statue moves or come to life every day at 7 pm. From the spectator’s side, it looks like that statue of ‘Man and Women’ is coming close and then they are kissing and then embrace each other. After few second of embracing each other, the couple gets separated facing away from each other. The maker of this statue has worked very precisely to show such an amazing artwork. They have also used lights to make the view more magnificent. This is the site that you will never forget in life if you visit and see it with your own eyes and from the angle of the camera. If you have any doubt, queries, and question in your mind about Statue of Georgia, please do share it with us. It will be helpful for us and to our readers also. Are you curious to know about the Colosseum, one of the marvels of the human-made building? 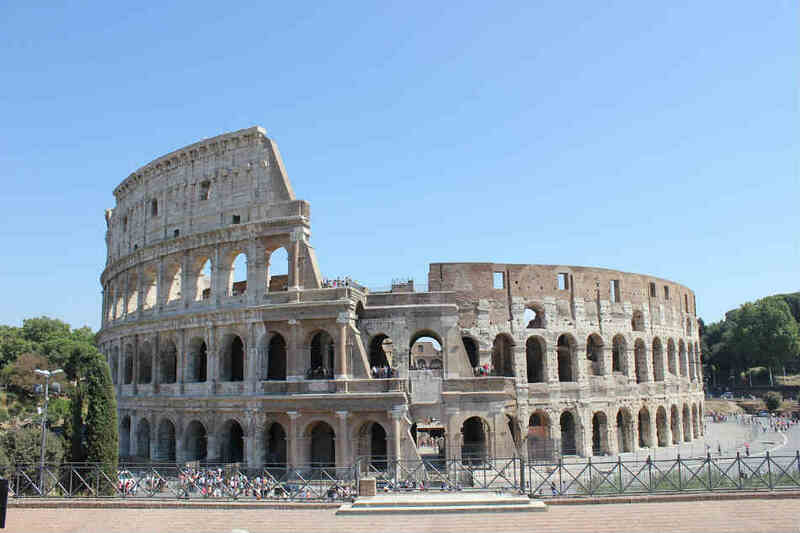 Want to find out where is the Colosseum, when was Colosseum built, who built Colosseum? If so, then let’s find it out from this post. Let us take you to the journey of the past into the Roman period. This article is presenting you the story of a ‘building’ which is almost 2000 years old, the Colosseum. It is not only a place of tourist attraction. It is a window by which you can see the past. It is a mirror reflecting the way people used to entertain themselves. You will get to know the sports of old time and the athletes of old times. By old we mean people living 2000 years ago. Much has been talked and now let begins our journey. We all know about the mighty Roman Empire. It was one of the greatest empires in the history of the World. The Roman Empire was known for its building or engineering. There was a Roman Emperor called Nero. He took his own life in AD 68. During his regime, a series of civil war broke out due to his misrule. Four emperors took the throne in the tumultuous year after the death of Nero. It was Emperor Vespasian who ruled for 10 years from 69 AD to 79 AD. Let us take you on the journey of the saga, “The Taj Mahal”. Have you ever walked a pathway beside the reflecting pool with fountains? If not then you should visit the Taj Mahal to take an experience of how the emperor in India was used to roam around their palace or monuments. The Taj Mahal, the grand mausoleum crafted with pure marble and jeweled with semi-precious stones is the place where you arrived by passing through the pathway beside the fountains. Does it excite you? Wait there are much more to come. The grace of perfection of proportions, measurements, and grandeur of geometrical patterns of gardens enhance the beauty of the Wonder of the World i.e. Taj Mahal. Let’s us we take a deep dip into the saga of the ‘Taj Mahal’. It is not fiction but purely based on the edifice of facts and love. Many people know about the Taj Mahal as one of the greatest structure made by the human beings. Some know the Taj Mahal, as the UNESCO World Heritage Site and some know it as one of the wonders of the world. People see it as the symbol of love. Its popularity has made it a common name among the people bucket list to visit different places. Today, it comes among the most visited tourist places in the world. In this article, we are going to talk about this magnificent place. You are curious to know, where is Taj Mahal? The Taj Mahal is situated on the bank of Yamuna in Agra, UP, India. 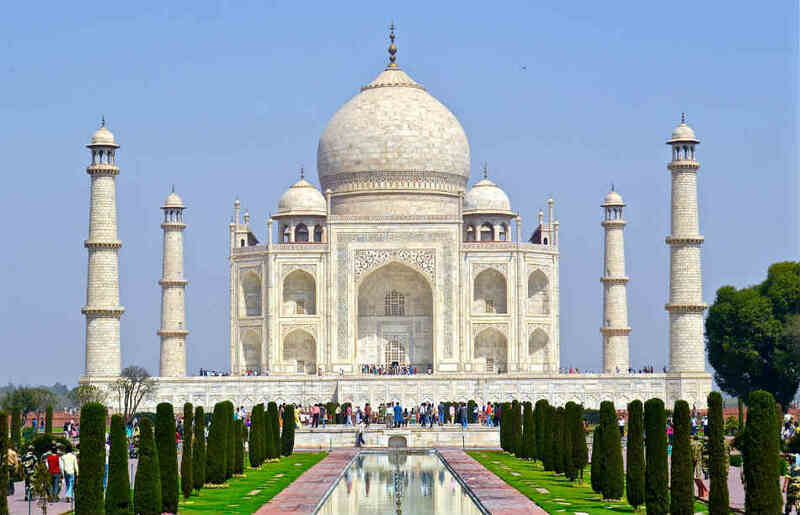 It will be amazing to know, when was Taj Mahal built? The answer is interesting. The emperor Shah Jahan commissioned this project in 1932 and it was completed in 1653 (including complex buildings). The much is said and written about the Taj Mahal by many historians. But still, people are curious to get to know, what was the history of the Taj Mahal? And Why Taj Mahal is famous? In this Taj Mahal Review, we will solve your curiosity in details. The journey of the Taj Mahal history and other questions is going to start. Please fasten your seatbelts. It’s all started with the desire of a wife. The wife was not the simple ordinary wife. She was the empress of the Mughal Dynasty, her name was Mumtaz Mahal. 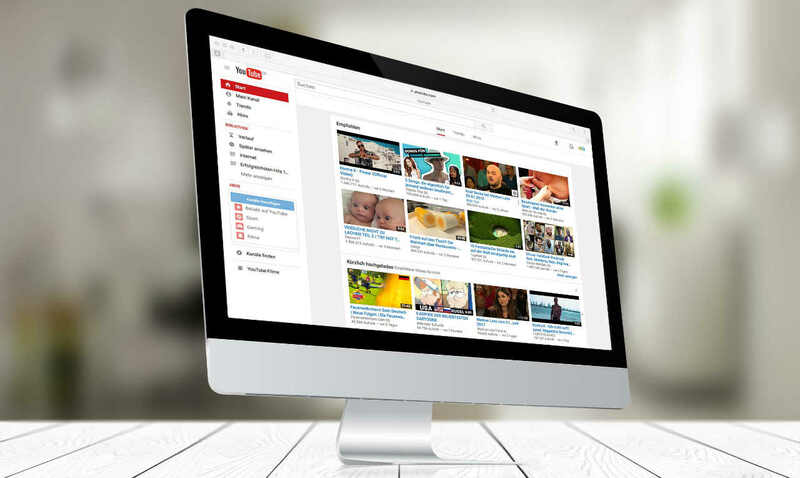 Is YouTube from Google? Does Google own YouTube? What is the Time Travel? 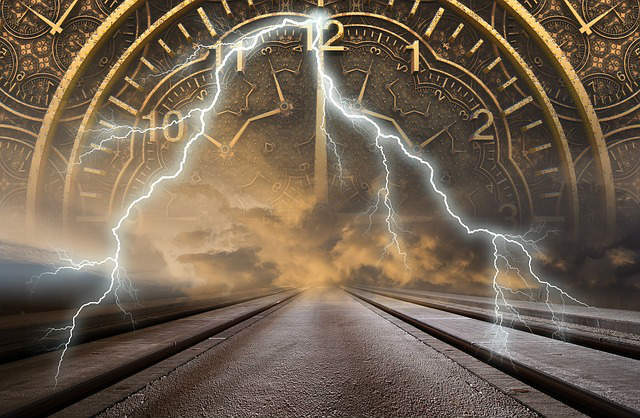 Will Time Travel be Possible?